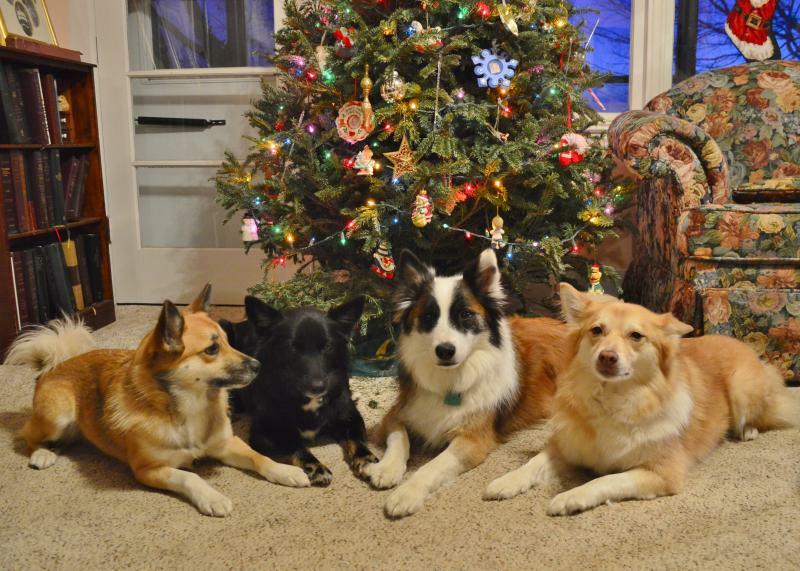 These dogs are truly members of our family. They help us on the farm with the sheep and horses. They go on family camping trips every summer. They are wonderful dogs who love to have a job to do. Icelandic sheepdogs are friendly, outgoing, energetic, loving, loyal companions. They want to be a part of the family and they do not do well if left alone for long periods of time. They are natually clean and do not usually have a "doggy" odor. They do shed their coats, especially in the spring and fall. If you are considering an Icie, you should know they like to bark! A lot! AKC CH Foothills Laki and Lavendels Vera have had their hips checked to rule out hip dysplasia and their eyes checked to make sure they do not have cataracts. All puppies will have a vet check prior to placement in their new homes. Prospective owners are required to fill out a questionaire and we will attempt to match personalities of puppies to new owners. Hey we do have a few questions, how often do you have litters? Approximately one litter a year. We were also wondering if you could give us a few details on how they are raised before leaving to live with their new family? They are born and raised in the house with my family. I usually am laying on the floor next to them as they are born and for the first couple of days I stay as close as possible. I do Early Neurological Stimulation which you can read about here: breedingbetterdogs.com/article/early-neurological-stimulation﻿: When they are older, I take them outside, weather permitting, for play times. Also, when they are older, I encourage friends with responsible children to come and meet the puppies as my kids are all young adults now. We have cats, horses, chickens, and sheep that they are allowed to see and interact with in a safe manner. I have paper trained them to potty on newspapers in the past, but this time I will try to litter train them to a pan of pine shavings. I have heard this is a good way to manage them when young. I start crate training and leash training when they are getting closer to leaving for their new homes. I try to think up new and interesting things for them to play on, in, and with such as wobble boards, small climbing toys, different chew toys, etc. Also, to meet new people and friendly dogs. I think it is a plus that they interact with both their male and female dogs. Laki is a great dog dad and very patient with puppies. Also I would be new to owning an Icelandic Sheepdog, how busy do they need to be, currently planning on obediance and agility, in addition to daily walks and going to the park and things like that, is that enough or do they need more of a job? Your plans for agility and obedience sound wonderful. They don't care that much what they do, as long as it is with you! They do not like to be left alone too much. If they are going to be alone all day, it helps to have another dog for company. 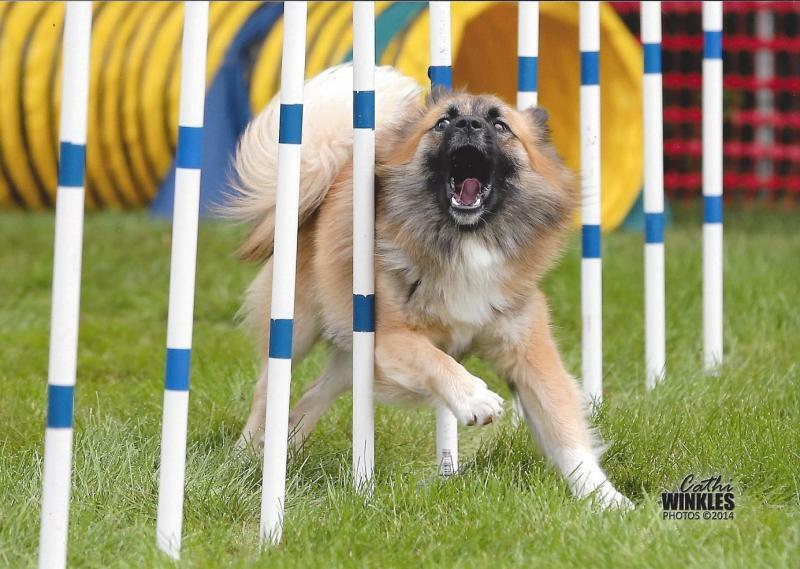 For agility, you would want a pretty high drive dog. Fortunately (? ), most of my puppies are pretty high energy. The laid back ones are less common from my experience. Be aware they can be noisy. Again, this varies with the individual and how they are trained. Nevertheless, they do LOVE to bark when they are working and playing. When they are in the house, they are pretty calm but are always up for a game! Thanks for the questions and let me know if you have more!